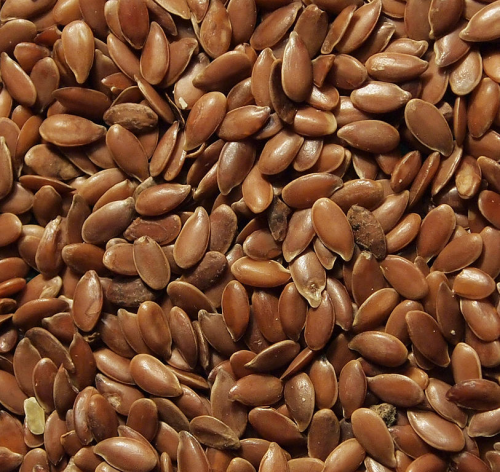 Flax seeds are nutritious grains that can be bought in grocery stores or health stores. They are also sometimes called linseeds. Flax seeds are fiber crops cultivated in colder regions of the world. They are available in golden or brown varieties. Golden flax seeds and brown flax seeds both contain a host of nutritional benefits but they differ in certain ways. Read on and we’ll tell you more about these super foods and identify their differences. Golden flax seeds are mostly found in the prairies of North Dakota. They are also often referred to as Dakota Gold. These seeds have a hard outer shell, which contains a lot of fiber. Flax seeds were cultivated in Babylon 5,000 years ago. At present, they are still considered as a valuable crop. Golden flax seeds are made up of 43 to 44 percent oil. Fifty-one percent of this oil is actually the omega-3 fatty acid, alpha-linolenic acid, or ALA. One tablespoon of this crop would give you 2.1 grams of ALA. Alpha-linolenic acid is good for the prevention of, as well as treatment of, heart and blood vessel diseases. Golden flax seeds also have a healthy amount of fat, calories, and protein. But it doesn’t stop there; these seeds are also a rich source of lignans, containing about seven times more than sesame seeds. Due to all these nutrients, golden flax seeds provide a lot of advantages such as improved digestion, clearer skin, lower cholesterol, balanced hormones, and a host of other benefits. Golden flax seeds are found in health food stores and are usually sold in whole grain form. These can be incorporated into certain recipes and dishes since they just have a light nutty, buttery flavor with little to no smell. 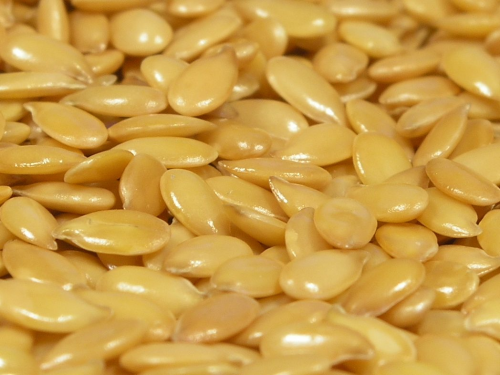 Due to their color, the golden flax seeds can easily be hidden in certain food preparations. This would be very helpful when feeding golden flax seeds to children or picky eaters. Brown flax seeds are grown in the Canadian region. Canada is the largest cultivator of flax seeds, and brown flax seeds are the most common type grown there. Flax seeds are considered by many as the world’s first cultivated superfood. Brown flax seeds contain 44 percent oil, where 59% of the oil content is omega-3 fatty acids or alpha-linolenic acid (ALA). One tablespoon of the seed would yield 2.5 grams of ALA. Brown flax seeds also contain a good amount of fat, calories, and protein and are a rich source of lignans, which are phytochemicals (heart-healthy nutrients). Consuming brown flax seeds can do many things for you, such as reducing sugar cravings, promoting weight loss, and even fighting cancer. Brown flax seeds are usually available at the grocery store, ground or in whole grain form. The subtle flavor gives out a nutty, buttery taste with a light scent. As an ingredient in certain dishes, this type of flax seed usually stands out in recipes due to its color. It would then be harder to hide when feeding picky eaters. What is the difference between golden flax seeds and brown flax seeds? Golden flax seeds are grown in the prairies of North Dakota while brown flax seeds are mostly cultivated in Canada. One tablespoon of golden flax seeds would provide 2.1 grams of the omega-3 fatty acid ALA whereas the same amount of brown flax seeds contains 2.5 grams of ALA. Golden flax seeds contain less fat and calories than brown flax seeds. However, golden flax seeds were noted to have higher protein content. It is usually harder to find golden flax seeds since they are mostly available in health food stores and in whole grain packs. Brown flax seeds, on the other hand, are easier to find since they can be bought in grocery stores and are available in whole grain or ground seed packs. When it comes to certain recipes and food preparations, it would be easier to incorporate golden flax seeds since the color blends well with other ingredients. Conversely, brown flax seeds often stand out in dishes.